Queen Victoria came to the throne almost without resources, under threat from republicanism, in a period of social, political and economic turbulence. She died, having revived the failing image of the British monarchy, head of one of the world's richest families. Victoria was the first monarch in British history to combine the public role of head of state with the private one of wife and mother. Alone among married women she was not governed by laws which stipulated surrendering both name and fortune to one's husband. 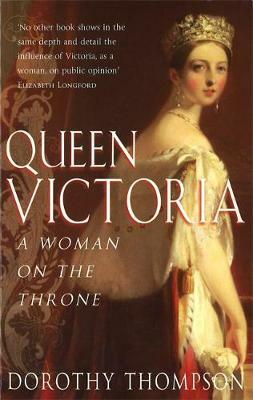 Yet she herself opposed the movement for women's rights.The complex effects of Victoria's gender on public attitudes and her own actions are brilliantly drawn out in this intriguing book.